Game day breakfast… – Eat, Drink, and Go! In preparation for Beer, Bourbon and BBQ fest this afternoon, I figured I ought to start the day with a well-balanced breakfast. Over easy eggs over avocado (avocado helps restore positive liver function!! 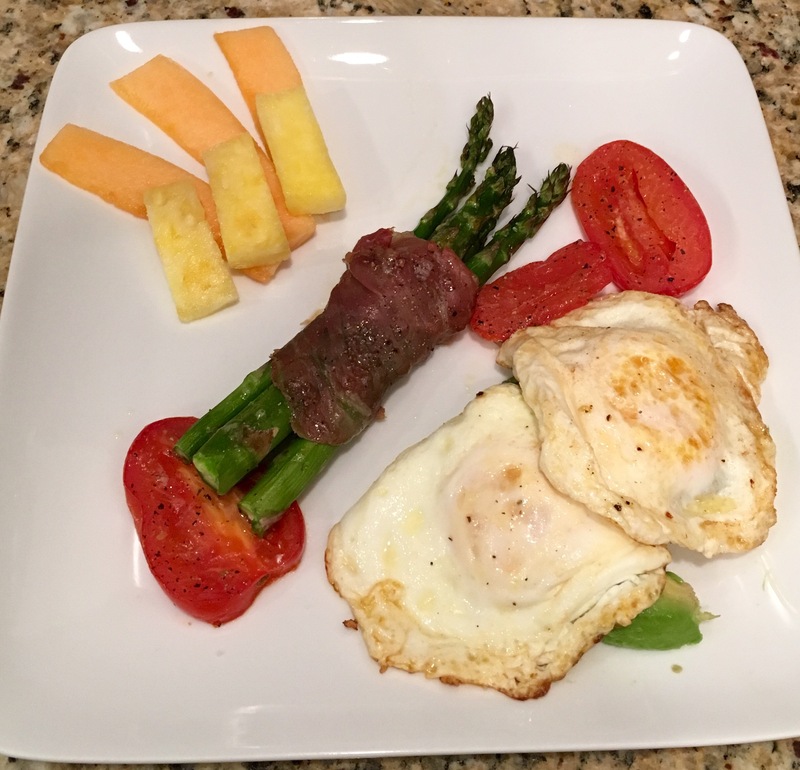 ), prosciutto wrapped asparagus (leaner than bacon), tomatoes (lycopene is just good stuff for you) and fruit (needs no parenthetical matter here, but I didn’t want it to be lonely). I love always thinking about my day as a whole when it comes to food and drink. And there will be a whole lot of it today, I’m sure!